The Festival held it’s Awards Gala Night on August 11 in front of a full house, cameras and personalities. The enormous success of the Festival has been documented by articles in the press, film and photos. Interview with a Festival attendee. Mrs. Ursuleasa, the mother of Mihaela Ursuleasa addresses the audience. Mihaela Ursuleasa was a Romanian-born pianist renowned for her prodigious technique and often idiosyncratic interpretations who died at the early age of 33. • Dr. Dumitru Preda, Romanian Plenipotentiary Ambassador to Cuba – “Thank You” for his support of the Festival and of the two feature films that Global Film Studio is preparing in Cuba. • Sophia Gilberto – “Best Foreign Emerging Actress in Romania”. She is an American actress from Boston, Massachusetts who has a contract with Brasov Talent Agency and who was one of the best students of the International Film Workshops 2013. Sophia Gilberto has a brilliant film career ahead of her. • Denisa Barvon – “Festival Image”. She is the greatest emerging Romanian actress with a certain international career. Denisa Barvon won the contest ‘the Image of Brasov International Film Festival & Market 2013’ and she has an exclusive contract with the Brasov Talent Agency and two leading roles in the upcoming feature films of Brasov Film Center. One of the Festival’s guests of honor was the famed actress Clara Voda who’s presence created a resounding impact among the audience. She has also participated to the graduation ceremony of the international students who have attended this year’s International Film Workshops organized by Daria Trifu and taught by film director Bruno Pischiutta. Clara Voda has addressed the student in English and she was also interviewed for the documentary produced by Brasov Film Center about this edition of Brasov International Film Festival & Market. The feature film “My Sister’s Keeper” was screened out of competition at the closing Gala Night following the Awards Ceremony. The film was selected in order to show to the audience a different side of the organ donation, the CAUSE to which the Festival was dedicated this year. ‘Staropramen Girls’ in costume have welcomed the Festival attendees each night and served the Staropramen beer. Staropramen (www.staropramen.com), Nissa (www.nissa.ro), Klopman (www.klopman.com), Kronwell Hotel (www.kronwell.com), Femei in Afaceri (www.femei-in-afaceri.ro), Tourism Association – Brasov (www.brasovtourism.eu), Optimist Youth Homes & Family Services – Pasadena, California (www.oyhfs.org), Toronto Pictures (www.torontopictures.ning.com), Global Film Studio (www.globalfilmstudio.com), Brasov Film Center (www.rollywood.org), Zile si Nopti (www.zilesinopti.ro), Metropola Magazine (www.metropola.info.ro), Art Act Magazine (www.artactmagazine.ro), Calendar Evenimente (www.calendarevenimente.ro). Model Cristiana Cioflec is dressed by NISSA. Brasov, Romania — In the presence of the most socially responsible and prominent journalists of Brasov, the organizers of Brasov International Film Festival & Market (1-11 August) held a press conference today to announce the selected films and the members of the Jury of this year’s edition. The conference, that took place at the Kronwell Hotel, was presented by Film Director Bruno Pischiutta, the Festival’s Artistic Consultant and, Film Producer Daria Trifu, the Festival’s Director. Bruno Pischiutta, internationally acclaimed film writer, director, producer and editor is the principal teacher of the International Film Workshops and the Artistic Consultant of Brasov International Film Festival & Market. His latest feature film PUNCTURED HOPE, was screened in theaters in Los Angeles for three months during the 2009 Academy Awards® season. The film was nominated by The Political Film Society (Hollywood) as ‘BEST FILM EXPOSE’ and ‘BEST FILM ON HUMAN RIGHTS’ of 2009 alongside AVATAR, THE HURT LOCKER, INVICTUS and INGLORIOUS BASTERDS. This nomination qualifies Maestro Pischiutta as one of the best film directors of dramatic feature films in North America. Nubia is a successful Canadian actress who has been featured in over 100 films and TV series. She is a graduate of Bruno Pischiutta’s Film Acting courses in Toronto. Nubia was a member of the Jury of Brasov International Film Festival & Market in 2012. She is working with Brasov Film Center as an actress and a film translator (English – Spanish); she has translated into Spanish the feature documentary BRASOV: PROBABLY THE BEST CITY IN THE WORLD, the feature film PUNCTURED HOPE and the screenplay of the upcoming feature film titled SUICIDE. Nubia has also been cast to play an important role in SUICIDE. Ana-Maria was born and raised in Brasov. She has graduated from the Faculty of Letters at the University of Transylvania and, in 2012, she has graduated from the International Film Workshops (taught by Bruno Pischiutta). Ana-Maria is interested in becoming an international Screenplay Writer and Actress. Since 2012, she has been working with Brasov Film Center as a translator (Romanian – English) and as a screenplay editor. At present, she is editing an English a screenplay by Johnny Pienaar for an upcoming fear film production directed by Bruno Pischiutta and produced by Daria Trifu; she is also working as a writer and editor of DARIA! magazine. Aida was born in Romania. The young lady is working with the internationally acclaimed Director Bruno Pischiutta and the Producer Daria Trifu. Aida Vondeth has been cast for an important and interesting part in the forthcoming production feature film titled SUICIDE. In 2012 she worked as an assistant director for Brasov Film Center’s feature documentary titled BRASOV: PROBABLY THE BEST CITY IN THE WORLD (Dir. Bruno Pischiutta, Prod. Daria Trifu). Throughout the years, she has produced, filmed and edited several short films and video clips. Aida will be directing the documentary of the festival BRASOV INTERNATIONAL FILM FESTIVAL & MARKET. At present, Aida has been contracted to design the 2013 edition of DARIA! magazine and she will also attend the upcoming International Film Workshops (taught by Bruno Pischiutta) in August in Brasov. Elio is a Canadian Film Production Manager with over 30 years of experience. He has been working with Bruno Pischiutta since the later 80’s. Elio has attended film festivals and markets worldwide. He is credited as Production Manager of Bruno’s films that include MAYBE, DEAD LOVE and PUNCTURED HOPE. Denisa Barvon, the winner of the contest “The IMAGE of BRIFF 2013”, was present at the press conference and she announced the winners of the raffle that offered four tickets to the Opening Gala of the Festival – total value 800 RON. Brasov International Film Festival & Market is the most important and renowned nonviolent film festival in the world. This year, the Festival is being dedicated to the promotion of the cause of Organ Donation. “It is a new world; it is time for a new morality! It is time to put the important things first.” The team of the Festival, are working for their CAUSE through the medium of film because they are filmmakers. Film is their way of expressing themselves and they take into consideration the fact that the films selected to participate in the Festival each year will live on after them: they will become Brasov International Film Festival & Market’s legacy. The organizers of the Festival believe that, considering the terrific steps medicine made in the last few years, organs donation has not to be considered an abstract subject but a very real process that regards hundreds of thousands of people worldwide. Staropramen (www.staropramen.com), Nissa (www.nissa.ro), Klopman (www.klopman.com), Kronwell Hotel (www.kronwell.com), Race the Oceans, Tourism Association – Brasov (www.brasovtourism.eu), Women in Business – Romania (www.women-in-business.ro), Toronto Pictures (www.torontopictures.ning.com), Global Film Studio (www.globalfilmstudio.com), Brasov Film Center (www.rollywood.org), Art Act Magazine (www.artactmagazine.ro) and Calendar Evenimente (www.calendarevenimente.ro). Brasov Festival Poster on Top of the World! Brasov – 15 mai 2013 – The press conference announcing the winner of the contest “The ‘FACE’ of Brasov International Film Festival & Market 2013″ was held today at the ARO Palace Hotel. At the conference, organized by Brasov Film Center, the official poster of the Festival was revealed as well as the titles of the two films participating this year out of competition. The most professional, serious and renowned journalists from Brasov were present. The official poster of the 2013 edition of Brasov International Film Festival & Market taking place from 1 to 11 of August in Brasov, Romania. Producer Daria Trifu, creator of the Festival, has announced that, in keeping with Brasov International Film Festival & Market’s mandate of showcasing nonviolent films and working for a better world, this year’s edition of the Festival is dedicated to the cause of Organ Donation worldwide. The titles of the two films that will be screened out of competition on the opening and closing gala nights of the event are SEVEN POUNDS starring Will Smith and directed by Gabriele Muccino and MY SISTER’S KEEPER starring Cameron Diaz and directed by Nick Cassavetes. The young lady who won the contest of becoming the “Face” of Brasov International Film Festival & Market 2013 is Denisa Barvon. She is a talented 16 year old artist from Liceul de Arte Brasov Hans Mattis Teutsch who is pursuing a film acting career. Denisa was introduced to the media and awarded with: €1,500 in cash (handed to her mother who was in attendance), a contract with the Brasov Talent Agency valued at $50,000, guaranteed acceptance to attend this years International Film Workshops taking place during the same time of the Festival (1-11 August) and a principal role in the upcoming feature film production of Brasov Film Center titled SUICIDE. Global Film Studio is the owner and operator of Brasov Talent Agency and it has invested €4 million in the contracted Romanian talent. Director Bruno Pischiutta, the artistic director of the Festival, was a guest speaker. Other important members of Brasov Film Center who were in attendence include screenwriter Ana-Maria Cioflec and assistant director Aida Manescu. Actress and Brasov media personality Alina Csiki, a graduate of International Film Workshops program in 2012, was also present. The official poster of the 2013 Brasov International Film Festival & Market was revealed. The poster features Denisa Barvon and it will be distributed throughout the city until the end of the Festival, on August 11. The second edition of Brasov International Film Festival & Market will take place this year from August 1st to the 11th at the Amphitheater of the ARO Palace Hotel. All the films will be subtitled in Romanian language. The tickets are available for purchase at Eventim.ro and thought their partners Germanos, Orange, Vodafone, Domo shops, Humanitas and Carturesti bookstores; tickets are also available for purchase at Bilete.ro, at Romanian Post offices and at Inmedio stores flagged Bilete.ro nationwide. Brasov International Film Festival & Market (BRIFF) is the most important and renown non-violent film festival in the world. In it’s 2nd edition this year, the Festival showcases feature-length nonviolent films only. A total of nine feature films from around the world are selected each year to compete for awards and recognition at this exclusive Film Festival in Europe. Brasov International Film Festival & Market is privately owned and organized by Brasov Film Center s.r.l. (www.rollywood.org), Romanian company headquartered in Brasov. Brasov Film Center is financed by Global Film Studio Inc. (www.globalfilmstudio.com), Canadian company headquartered in Toronto. Global Film Studio Inc. is multinational corporation with interests in several countries. This year’s edition of the Festival will be dedicated to the promotion of Organ Donation. Toronto, Canada — April 8, 2013 — Festival Director Daria Trifu announced today that Bruno Pischiutta will lead the Jury of the 2nd edition of Brasov International Film Festival & Market taking place August 1-11 this year. Film Author and International Academician Bruno Pischiutta is known for writing, directing and producing socially conscious and nonviolent films. His latest feature film PUNCTURED HOPE was nominated by The Political Film Society (Hollywood) as ‘BEST FILM EXPOSE’ and ‘BEST FILM ON HUMAN RIGHTS’ of 2009 alongside AVATAR, THE HURT LOCKER, INVICTUS and INGLORIOUS BASTERDS. This nomination qualifies Maestro Pischiutta, as one of the best film directors of dramatic feature films in North America. Film Producer Daria Trifu is the creator of Brasov International Film Festival & Market and the President of Brasov Film Center s.r.l. (www.rollywood.org). The company is the owner and organizer of the Festival. “In keeping with Brasov Film Festival & Market’s mandate of showcasing nonviolent films and working for a better world, we are very happy to announce that this year’s edition of the Festival will be dedicated to the cause of Organ Donation worldwide”. Brasov International Film Festival & Market (BRIFF) is the most important and renown non-violent film festival in the world. 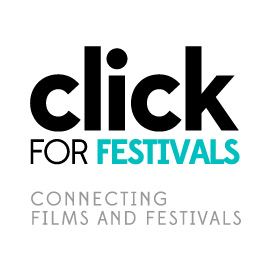 In it’s 2nd edition this year, the Festival welcomes feature-length nonviolent films only. A total of nine feature films from around the world are selected each year to compete for awards and recognition at this exclusive Film Festival in Europe. Brasov International Film Festival & Market is privately owned and organized by Brasov Film Center s.r.l., Romanian company headquartered in Brasov. Brasov Film Center is financed by Global Film Studio Inc., Canadian company headquartered in Toronto.